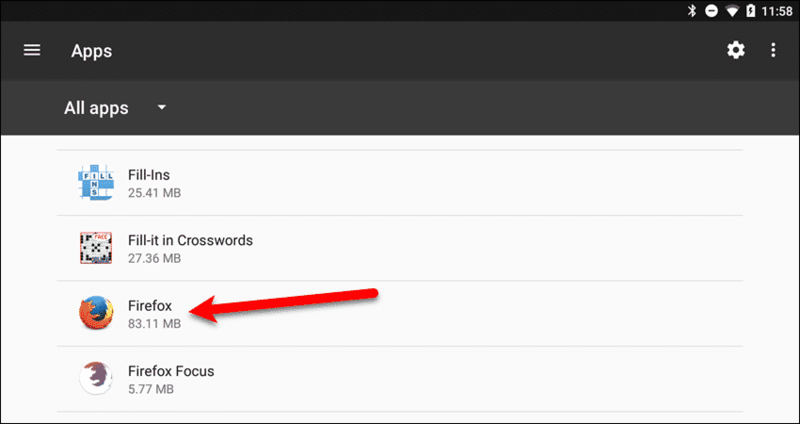 Chrome and the manufacturer’s own internet browser come pre-installed on Android devices. However, if you prefer Firefox, you can install it and make it the default browser on your Android device. 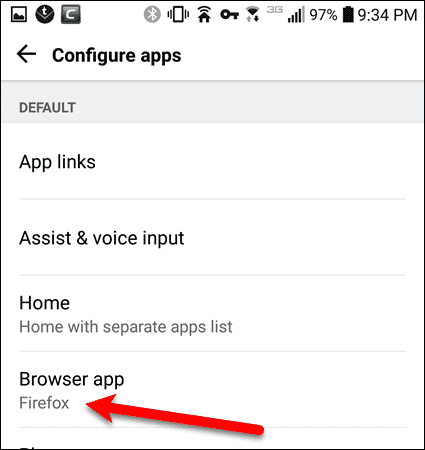 You can install multiple browsers on your Android device, but none is the default browser until you set one. 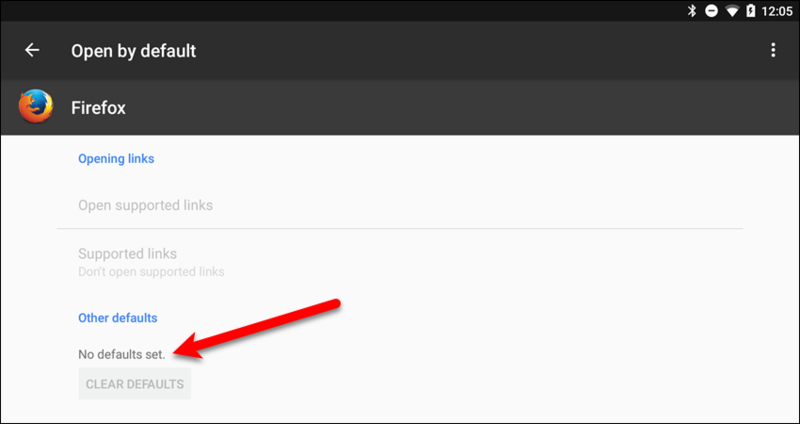 For example, you’re asked which browser you want to use when tapping on a link in an email or text message. 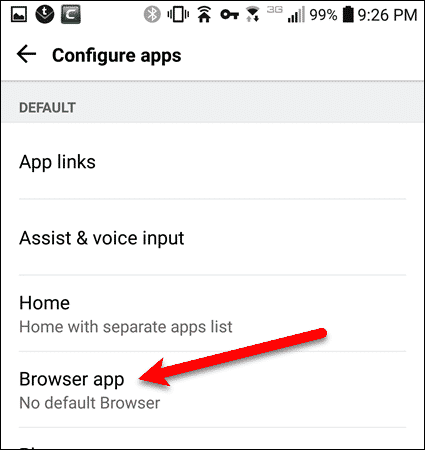 The procedure for setting the default browser is different depending on the Android device you’re using. Today, we’ll show you how to make Firefox the default browser on Google, Samsung, and LG devices running Android Nougat. If you’re using a Google Android device, swipe down once from the top of the screen and tap the “Settings” (gear) icon. On the “Settings” screen, tap “Apps“. Next, tap the gear icon in the upper-right corner of the “Apps” screen. The “Browser app” option on the “Configure apps” screen, will either say there’s “No default Browser” or it will show the name of the current default browser, such as Chrome. To change the default browser, tap “Browser app“. 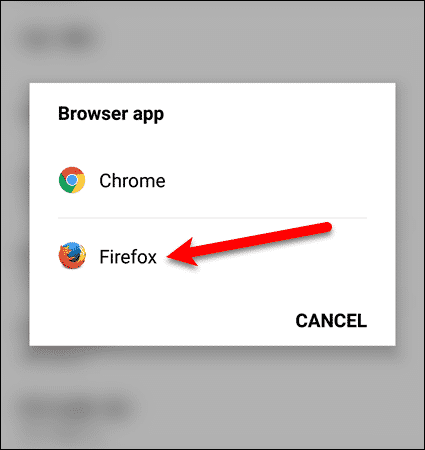 Tap “Firefox” on the “Browser app” dialog box. 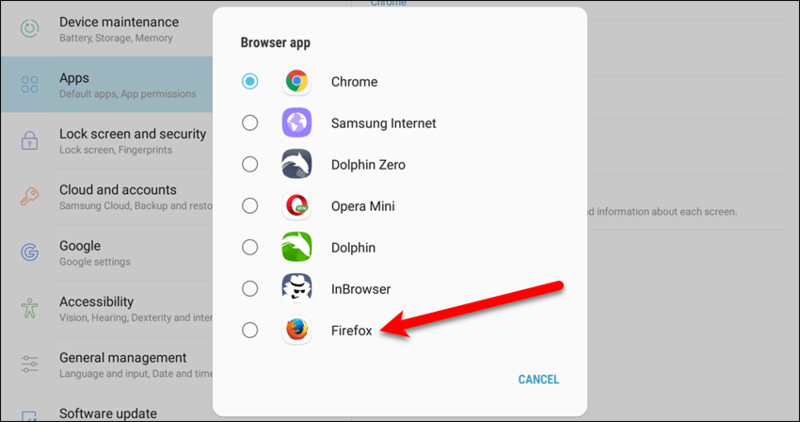 Firefox is now the default browser app. The process for selecting a default browser on a Samsung device is like the process on a Google device, but there are some differences. Swipe down twice from the top of the screen and tap the “Settings” (gear) icon. In the list of options on the left, under “Settings“, tap “Apps“. Next, tap the menu button (three vertical dots) above the “Apps” list. Tap “Default apps” on the pop-up menu. 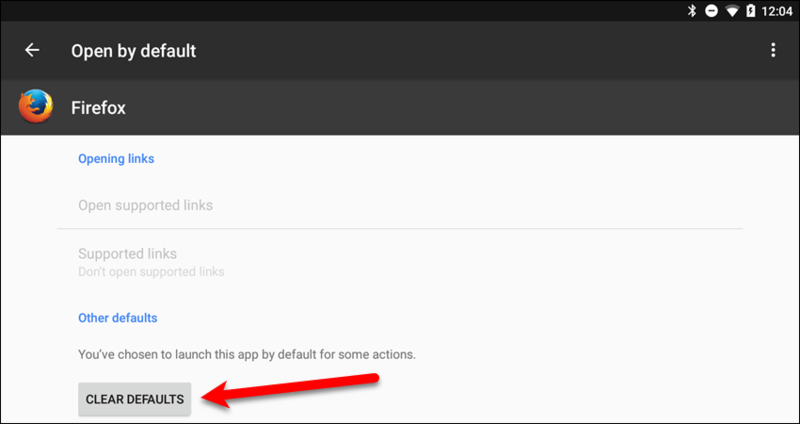 Next, tap “Browser app” under “Default Apps”. 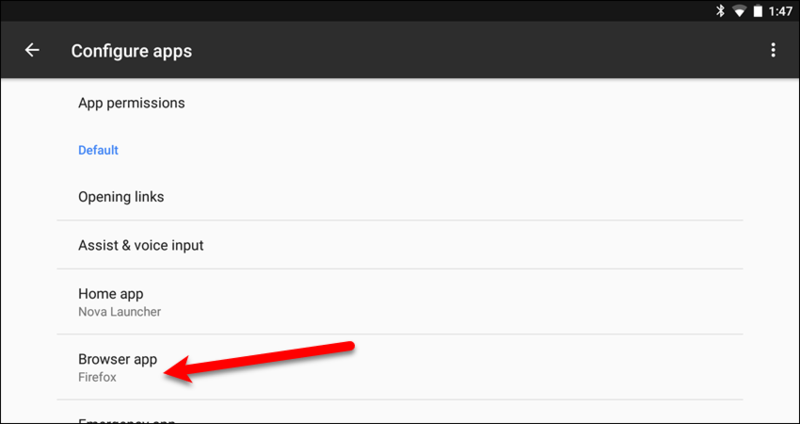 If you’re using an LG Android device, swipe down twice from the top of the screen and tap the “Settings” (gear) icon. On the “Settings” screen, tap “Application Manager“. Next, tap the menu button (three vertical dots) in the upper-right corner of the screen. 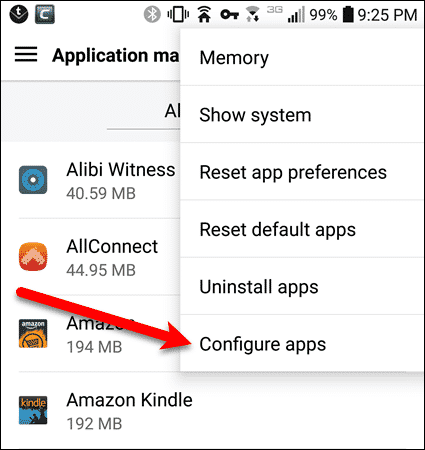 Tap “Configure apps” on the pop-up menu. You can reset the default browser to none, if you want to choose which browser to use each time. This procedure is the same on Google, Samsung, and LG devices with some minor differences. To begin, swipe down once or twice (depending on the device) and tap the “Settings” (gear) icon. 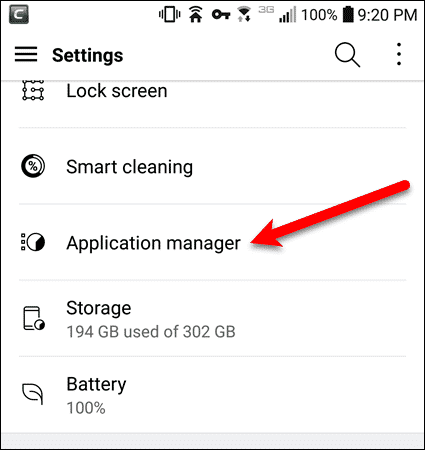 Next, tap “Apps” on a Google or Samsung device, or “Application manager” on an LG device. On the “Apps” screen, tap “Firefox“. 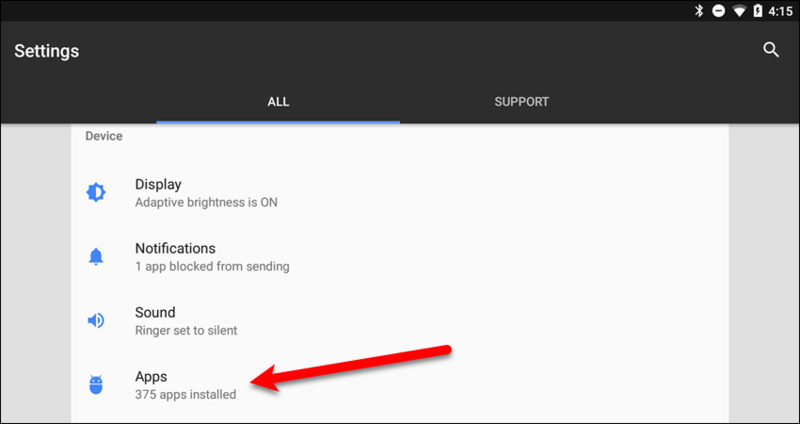 Next, tap “Open by default” on a Google or LG device, or “Set as default” on a Samsung device. The app screen for Firefox will say “No defaults set“. Now, you are asked which browser app you want to use when you perform an action that involves a browser app, such as tapping a link. A browser app is suggested on the pop-up dialog box that displays. Tap “Just Once” if you want to use that app this time, but not every time. 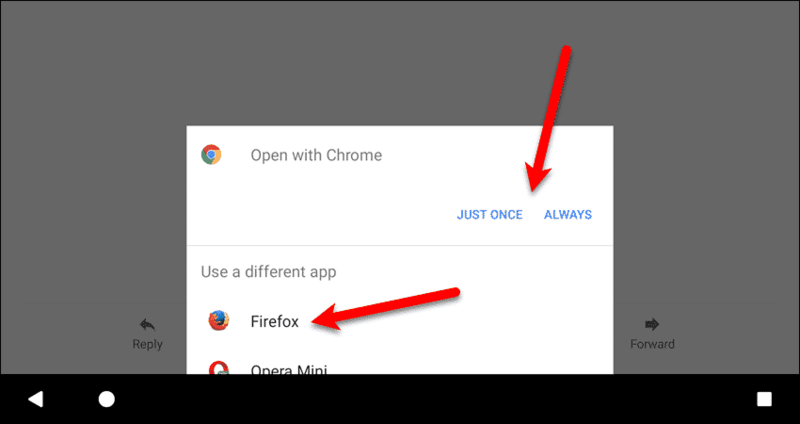 If you want to make that browser app the default browser, tap “Always“. 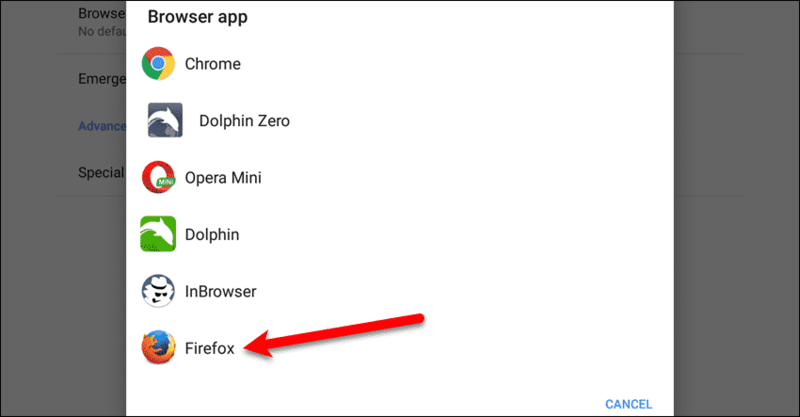 Other browser apps installed on your device are listed under “Use a different app”. Swipe up to see the rest of the list and tap on an app to open it. The chosen app will be used this time, but you’ll be asked again next time which app you want to use. 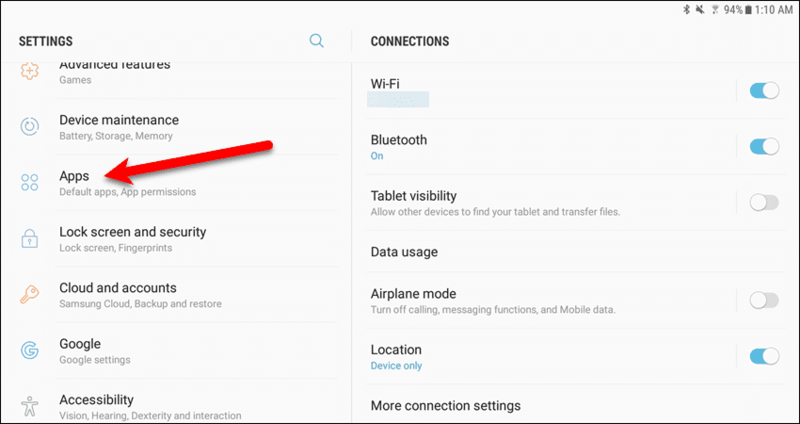 When you install another browser on your Android device, the default browser will be reset to “No default Browser“. Follow these instructions again to set your default browser to Firefox, if you so choose. 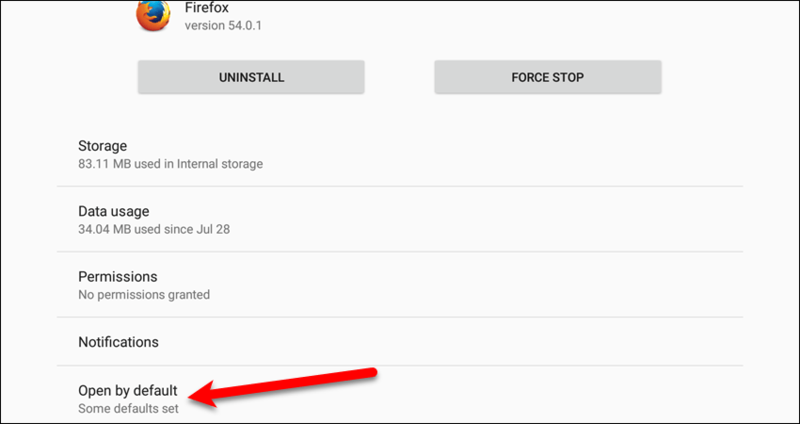 Do you use Firefox on your Android device? What’s your favorite browser on your Android device? Let us know in the comments.